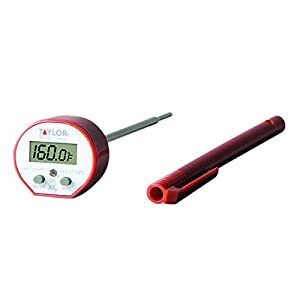 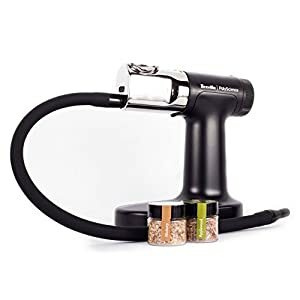 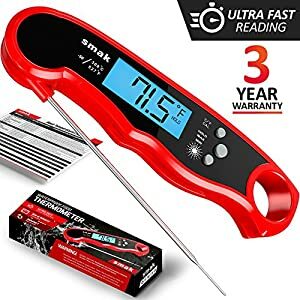 BBQ smoker thermometer with 6.5″ food grade stainless steel probe features step-down tip design to get temperature more precisely and quickly. 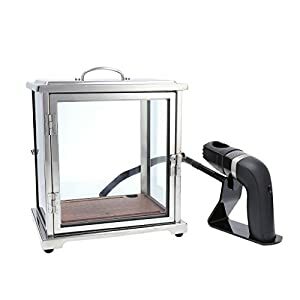 40″ reinforced stainless steel mesh cable. 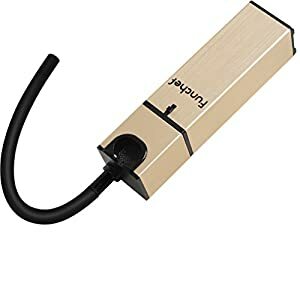 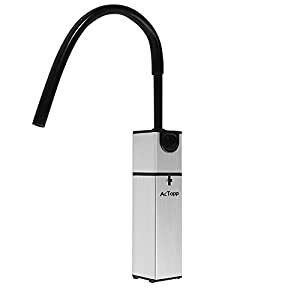 The long cable length, ensures the transmitter won’t get splashed by oil or liquid. 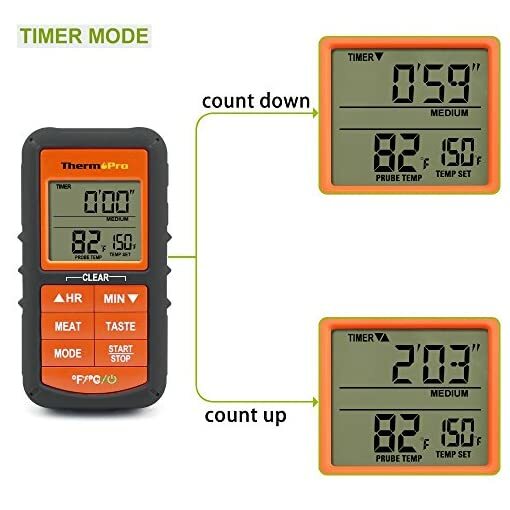 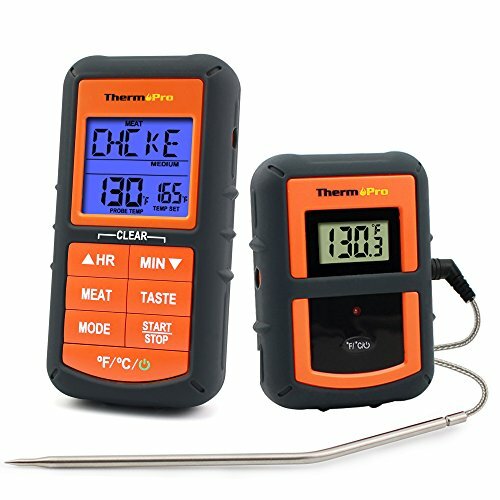 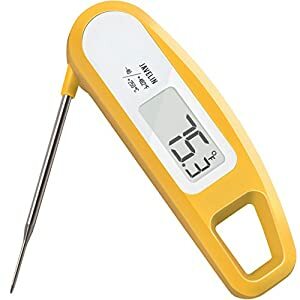 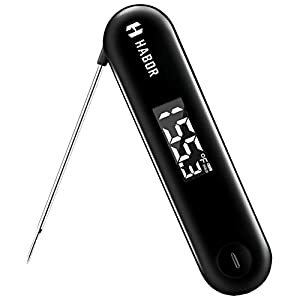 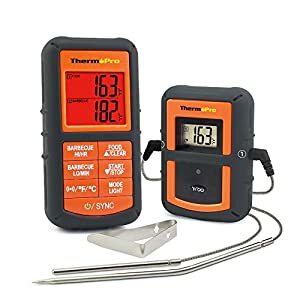 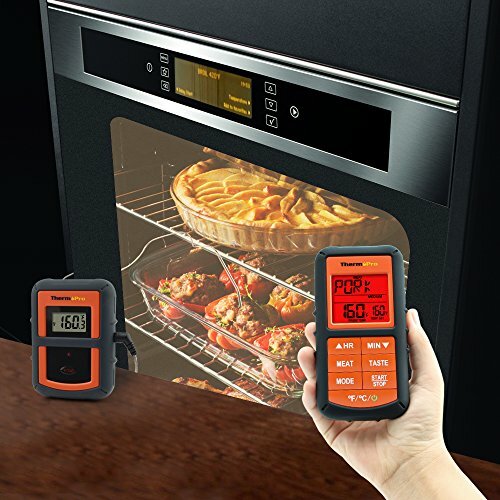 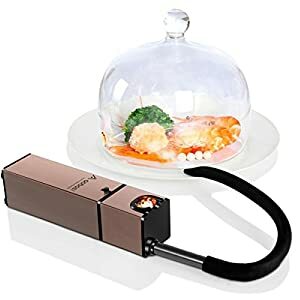 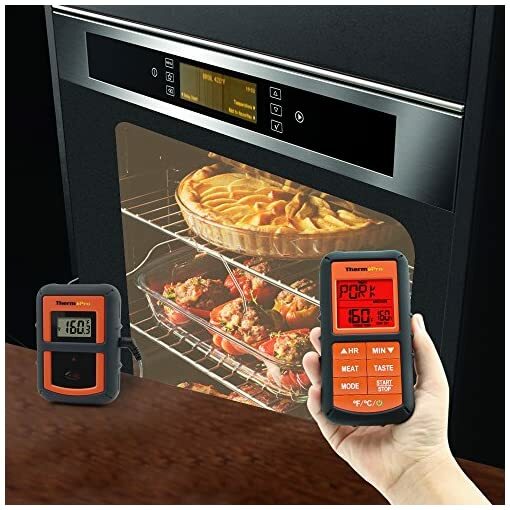 Wireless Food Cooking thermometer is programmed with preset temperatures for various cooking levels recommended by USDA – Program, ground beef, ground poultry, BEEF, VEAL, chicken, PORK, poultry, LAMB, FISH; All Preprogrammed Temperatures can be reprogrammed to set cooking temperatures to suit your personal taste.